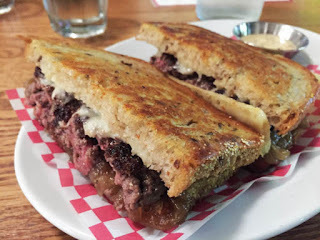 The Patty Melt at Cassell's Hamburgers in Los Angeles' Koreatown. Cassell’s Hamburgers in Los Angeles, CA is a fabulous spot in Koreatown for catching a burger after a drink. 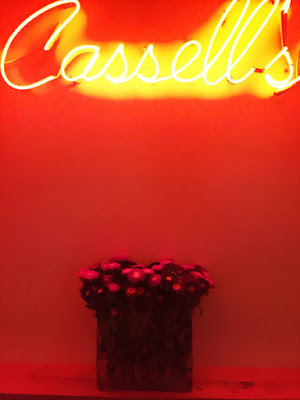 We had just finished a couple of rounds of cocktails at The Normandie Club and slid next door to check out Cassell’s. 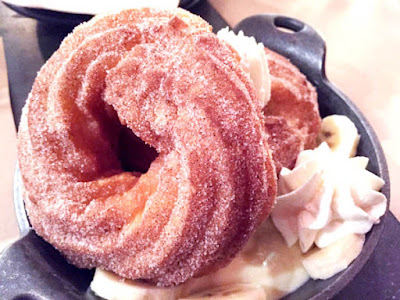 At night it feels like you are in an Edward Hopper painting sitting at the classic tables in the classic styled diner. We ordered burgers. Patricia got a plain 1/3 pound cheeseburger with cheddar ($9.99) and I ordered the 1/3 pound patty melt ($10.99). We also ordered fries ($3.50). The staff was a hoot. Our waitress was friendly and talkative. The young man who brought us our burgers was equally delightful. Patricia asked if he had won the lottery. He said no, but friend in Chico Hills had posted a picture of the $1.5B winning ticket on Facebook. That would buy a lot of burgers. Cassell's Hamburgers has the classic diner look. The Patty Melt was awesome. Crisp rye. Sweet grilled onions. The swiss cheese squirted out from the bread to form a cheese skirt. The patty was loosely ground and juicy - not too tightly packed. The bread was nicely toasted and tasty. I liked the mustardy sauce on the side for dipping the burger. Patricia’s plain cheeseburger was yummy as well. The white bun was firm and spongy. Cheese melted perfectly over the tasty patty. We loved the atmosphere and the burgers. 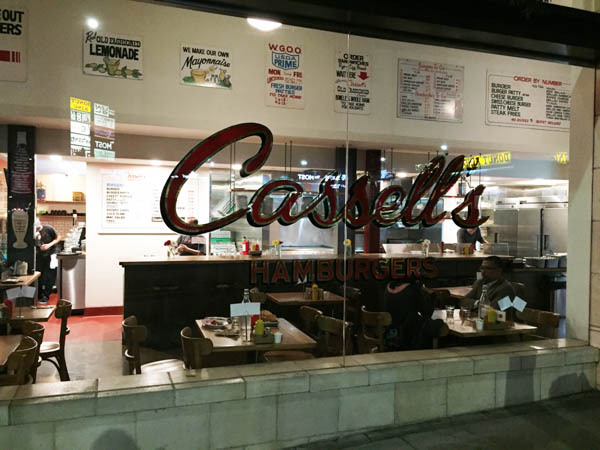 Swing by Cassell’s for a trip back in burger time. The WesBurger with Irish Cheddar, Grilled Onions and Jalapeño Pickle Relish. Wes Burger is opening soon in the Mission in San Francisco. In the meantime, Wes Rowe is showcasing his formidable burgering skills at a pop-up every Wednesday night. 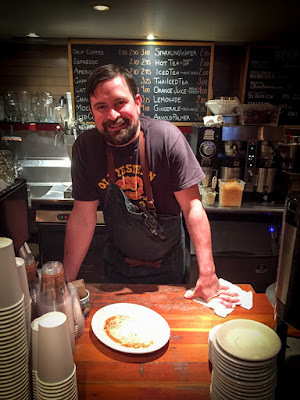 The pop-up is at Mojo Bicycle Club on Divisadero. Wes takes over the cafe and cranks out a different burger and version of tots every week. 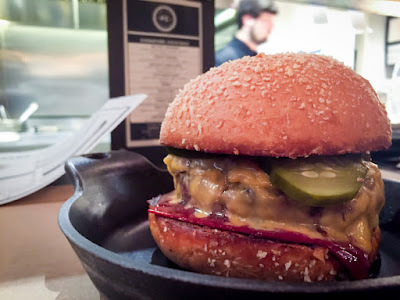 The night we went, WesBurger was concocting a delicious burger with sharp Irish cheddar, caramelized onions, homemade jalapeño pickle relish ($11). I added bacon for $2 more. 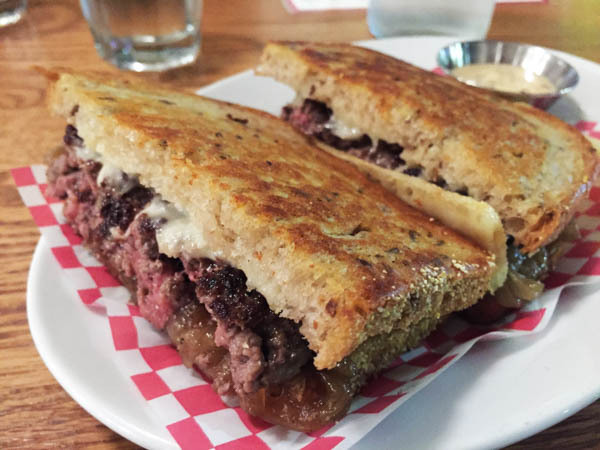 The burger patty sported coarsely ground brisket, loosely packed and fried in an iron skillet, creating a lovely crisp salty exterior. His white bun is locally produced. Before the burger came out we were treated to his weekly tot construction. 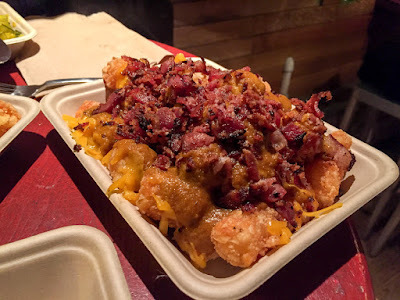 Dubbed Irish Poutine ($8), the piping hot tots were topped off with shredded cheddar, bacon and a curry sauce, a crazy combination that worked. I stopped myself from eating too much and ruining my appetite. The burger arrived to a hearty “Scott!” from chef Wes. We picked it up and headed back to our table by the window on busy Divisidero. One bite and I was on the WesBurger team. The patty has plenty of fat and taste despite my concerns about low fat content from the brisket. Wes told me that he leaves enough of the brisket fat to get it where it needs to be. 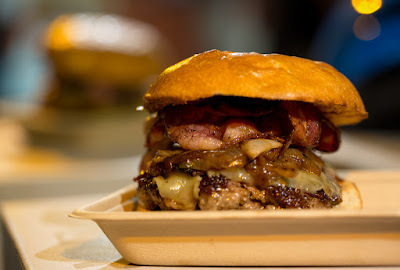 The Coarse grind allows the fat to melt down through the patty. 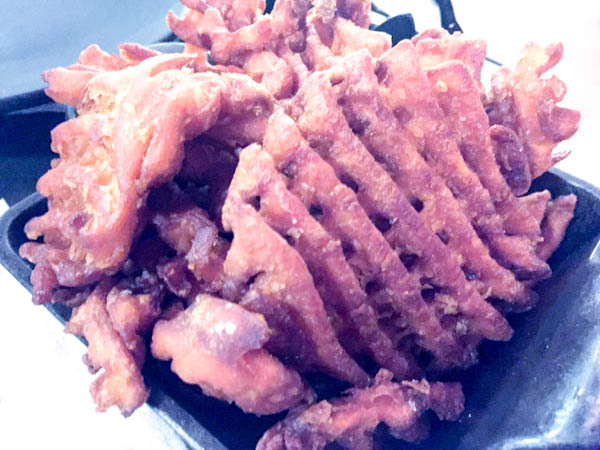 Bacon was not crisp but very flavorful. The pickle relish was not overly spicy, making a sweet and acidic compliment to the sharp cheddar. Beverage note: Wine and beer from the Bicycle club were a nice bonus with the burger. 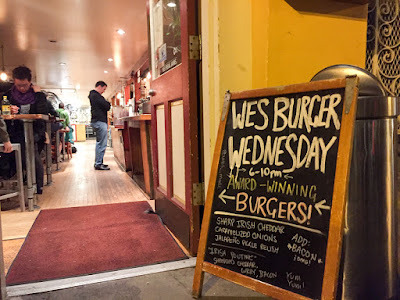 WesBurger opens on Mission near 18th sometime in March, they will have 3 or 4 burgers on the menu and a nightly special. Chef Wes is using the pop-up to gauge the favorites. I might have to check back on another Wednesday and place a vote. The Irish Poutine with Cheddar, Bacon and Curry Sauce smothering the Tots.